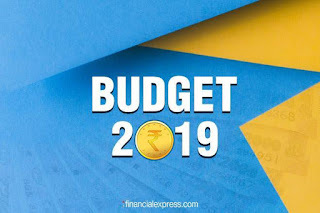 Home » » Budget 2019 : Income Tax rate unchanged ! Budget 2019 : Income Tax rate unchanged ! No cheer for taxpayers. Tax rate unchanged. Only rebate u/s 87A increased to Rs 12500. Those whose total income is more than Rs 5 Lac will have to pay same amount of tax as earlier. Standard Deduction increased to Rs 50,000. From the above example, we came to know that if one’s Taxable Income is up to Rs.5,00,000, he gets full rebate under 87 A and need not to pay any Tax. Whereas one’s Taxable Income is Rs.5,01,000, he cannot claim rebate under Section 87 A and he has to pay Rs.13208 as Income Tax for earning Rs.1000 income above of Rs.5 Lakh. Is that Correct..? To extend this benefit to the all Tax paying Salaried class , either this rebate under 87 A should be given to all without restricting it to below Rs.5 Lakh or Income Tax Slab may be changed accordingly to make Nil Tax for Income from 2.5 lakh to 5 lakh.